Many clients who come to a coach do so as they are not satisfied with their current life situation and are longing for something more, better or different but they are not sure what that is. They often lack a clear vision and purpose in life and are not always aware of what their core values are or how living in harmony with one’s inner values can affect their happiness. To explore and define a persons values is therefore of crucial importance in a coaching programme as it affects all areas of the persons life. 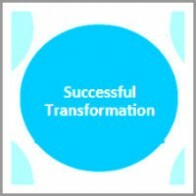 Thereafter, the client needs to align their life to their value foundation in order to live a fulfilled life. We spend much of our time working wherefore the values that are perceived in our working life is highly important for us to feel good about ourselves and what we are doing. 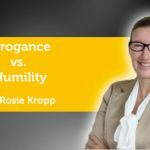 Unfortunately, many people struggle to align their own values with those of corporates where they often lack meaning, personal satisfaction and passion for what they do. This can affect other areas of their lives negatively and therefore the choice of where, how and what to do while working is an important question for a persons wellbeing. How important are values and value-alignment for a person and how does it affect their working life? 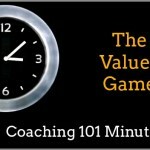 How can a coach best support a client in exploring and defining their values? Is there a new generation of value-driven individuals who prefer to choose to start their own business instead of working for a corporate if there is a lack of value-alignment and what type of values are steering them? This paper will explore those all those areas. Values can change over time, therefore it is important to check upon them regularly to ensure they are the right ones. What principles/standards/ qualities do you consider worthwhile or desirable? 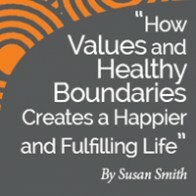 What personal values resonate most with you in order to live a great life? 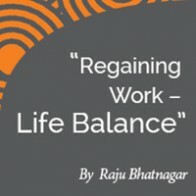 What is important in your working life? 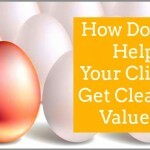 Are your personal and business values aligned? A list of values can values can be helpful to start the conversation where it is important that they client choose and priorities the values they find truly important in life, not the ones they think they should have. A value pyramid is a great tool to discuss and understand that different values bear different importance. To discuss a client’s role models can also reveal what values they admire. The important thing is to confirm what the client’s core values are and for the client to find a way to live by them in all areas of life. If a persons business values and personal values are in alignment, that is great. If they are not, the person will be dissatisfied, unhappy and not perform well. 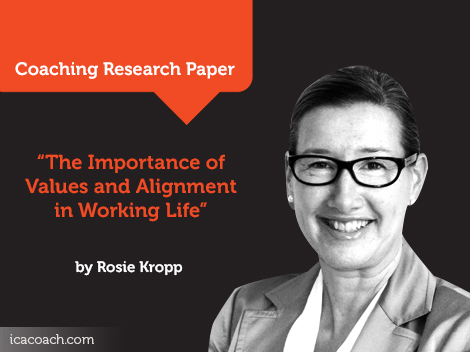 The importance of value alignment in the working place is significant, especially when looking at how much time of our lives we spend at work. Unfortunately, this type of value-driven companies has taken a backseat during the last year’s global crisis where we instead have witnessed and focused on greed, irresponsibility, dishonesty and inhumanity among many corporates. One would think that the financial crisis should have led to people being more appreciative of their employments and less prone to leave it because it is not aligned with their values. However, recent data from the US shows that the last year’s financial crisis has actually resulted in more people leaving their positions despite the uncertainty in the world. The US unemployment rate remains high at 9,1%. Meanwhile, the number of new businesses is growing at the fastest rate in 15 years, according to the entrepreneurial and educational research group the Kauffman Foundation. Throughout the 2000s, only 4% of new business owners in the US listed “lack of employment options” as a motivator to start their business. So, what motivates those entrepreneurs to leave corporates and start their own businesses? It seems like the corporate world no longer is capable of attracting people with the old attributes of security, career, status and money as those entrepreneurs have other drivers. Today’s entrepreneurship is a strong value-based process that is needed to be successful in the long run. The Kauffman Foundations research on entrepreneurship in the US shows that a majority of today’s entrepreneurs can be defined by values such as wanting to have more control over your own destiny and security. For the purpose of this paper, a qualitative survey of 15 entrepreneurs across different nationalities, ages and gender has been conducted to explore the importance of values and key drivers to become an entrepreneur. The survey shows that values are of crucial importance when it comes to working life and when personal and corporate values are not aligned, people take the decision to start their own value-based business. In the survey, following one’s inner values is highlighted as very important and a core driver to start a business. Core values mentioned by the respondents are; caring for family and friends, health, life/work balance, freedom, flexibility, respect, passion, personal development and learning. Other values expressed are aspirations, having fun, adventure, improving society, fairness, ethics, social justice and honesty. Most of the respondents felt that their values were lacking or not considered important in the corporates they previously worked for. That was the major reason for many of them to leave and start their own business. The key drivers for them to start their own business were to create alignment with their personal values. Steering their own time and destiny was important as well as achieving their dreams and working with their passion. They also express excitement over the opportunity to develop themselves and to be able to build something instead of changing something – which is the normal situation while working for a corporate.